There are thousands of flashlights in the market. Even if you narrow it down to 18650 flashlights, you’ll still have to choose from a huge selection. So how do you decide the best one? 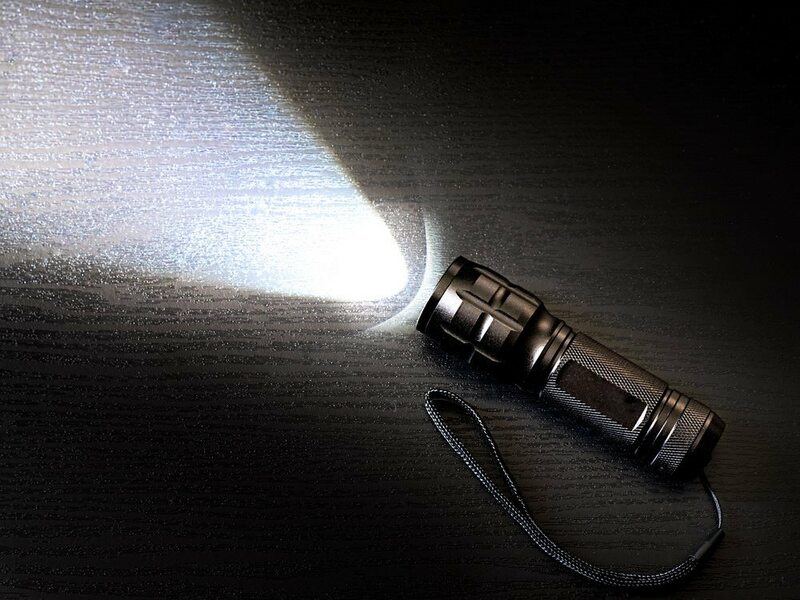 What should you look for in a best 18650 flashlight? This article offers an 18650 buying guide and reviews some of the best options in the market. ThruNite, I would say, is one of the most reliable flashlight companies out there. They have great reviews and high ratings that are also very reassuring, so that was a selling point for me. The ThruNite TN12 2016 version lives up to what I’ve read before my purchase. It’s one of the brightest one in the company’s tactical series, using CREE XP-L V6 LED which has a lifespan of about 50,000 hours and a maximum of 1100 lumens. It uses a single 18650 battery, which can last up to 4.2 hours on high mode. Our runner up for best is the Fenix PD35. 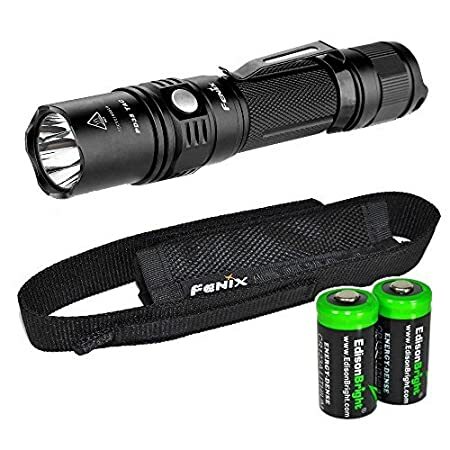 Like the ThruNite TN12, the Fenix PD35 uses a CREE XP-L LED and has a lifespan of 50,000 hours. It is a powerful tactical flashlight, with a maximum distance of 200 meters and maximum intensity of 10,000 candelas. It’s also durable, using aircraft grade aluminum, with an impact resistance of 1 meter and waterproof rating of IPX-8. 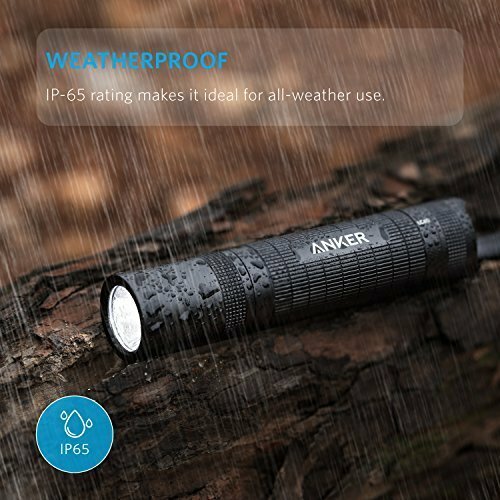 Anker’s main products are mobile charging devices like power banks and cables, but they also have flashlights that are awesome. The LC40 is an especially great 18650 flashlight for the price tag. It has a 400-lumen CREE LED bulb bright enough to reach a maximum 100-meter beam distance. You can use it at home, in your car, for camping, for emergencies, and more. If budget isn’t an issue, then you have to go with this ThruNite TC12 flashlight. 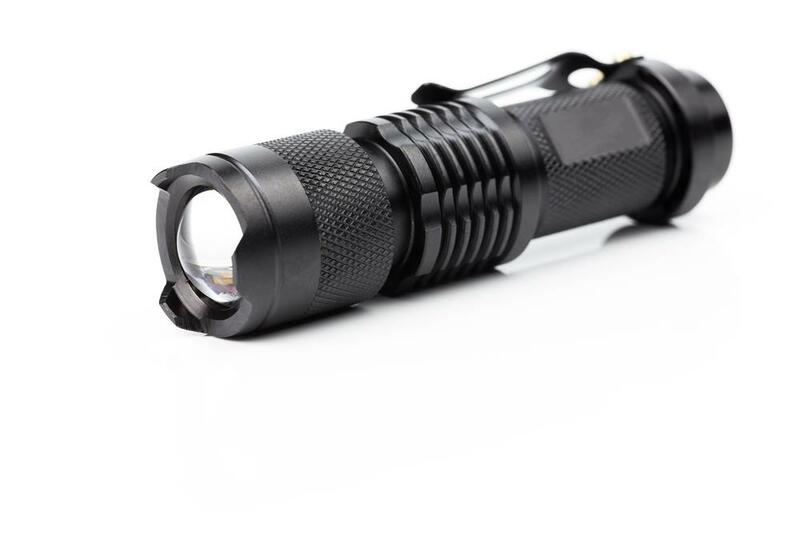 Like the TN12, it’s very compact flashlight and adopts the CREE XP-L V6 LED. It has super bright light, up to 1100 lumens and a maximum beam distance of 274 meters. Also, like the TN12, it has a waterproof rating of IPX-8 meaning it’s waterproof for up to 2 meters. It also has a 1.5-meter impact resistance rating. Olight is another company that focuses on light products – flashlights, headlamps, tactical lights, etc. They have lots of incredible products that also have high ratings and great reviews, so I wanted to see for myself. The Olight S2R Baton Rechargeable Flashlight is an excellent pick to match the others on the list. ThruNite, I would say, is one of the most reliable flashlight companies out there. They have great reviews and high ratings that are also very reassuring, so that was a selling point for me. The ThruNite TN12 2016 version lives up to what I’ve read before my purchase. It’s one of the brightest one in the company’s tactical series, using CREE XP-L V6 LED which has a lifespan of about 50,000 hours and a maximum of 1100 lumens. It uses a single 18650 battery, which can last up to 4.2 hours on high mode. 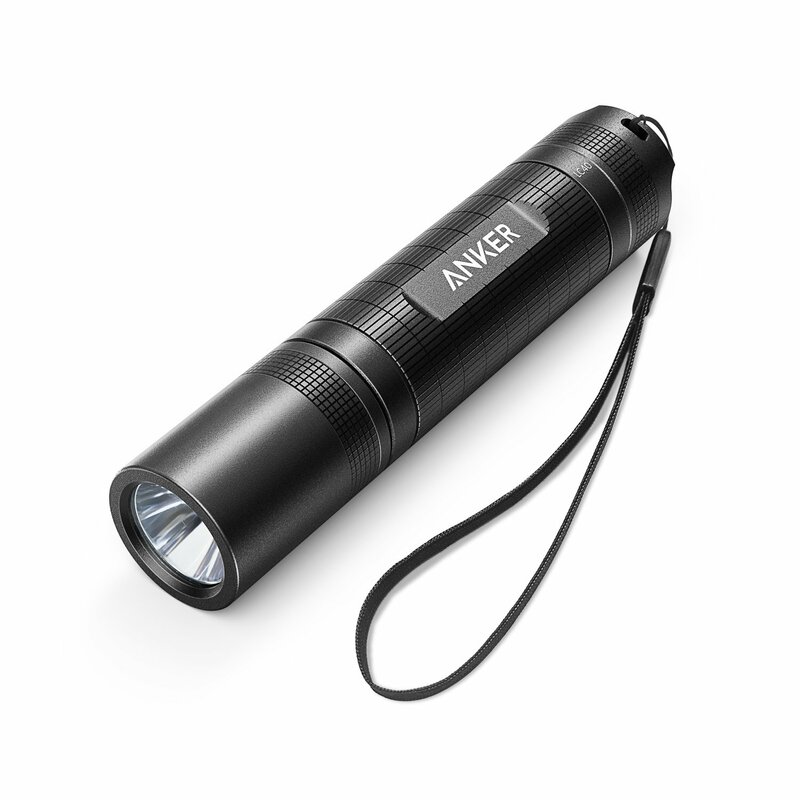 The TN12 is also an excellent every day carry flashlight. It’s compact design, and the belt clip makes it a natural fit in your pocket. You can use it for backpacking, hiking, hunting, or for basic household use, in law enforcement, and more. Still, for such a little thing, it is quite powerful and versatile. It has five brightness levels (Firefly, low, medium, high, turbo) and a strobe feature. Another great thing about this flashlight is that its manufacturer built the product to last. The aluminum body is impact resistant for up to 1.5 meters, has an IPX8 waterproof rating, and has an anti-abrasive finish. It also has a sturdy glass lens that has an anti-reflective coating. Though I haven’t used it in extreme outdoor conditions yet (I’ve had it for less than a year), I can tell that it is sturdy and durable. 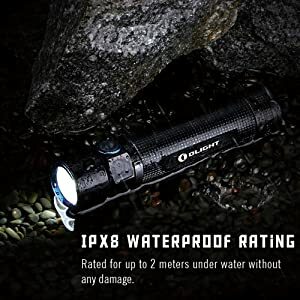 Among the other options, I think it’s overall the best flashlight because it offers great features at a reasonable price. It is compact, durable, versatile, powerful, and comes at a reasonable cost. You can purchase the flashlight on its own, or with batteries and accessories. You can get a lanyard, tail cap, pocket clip, a holster, and spare O-rings if you need. ThruNite, I would say, is one of the most reliable flashlight companies out there. They have great reviews and high ratings that are also very reassuring, so that was a selling point for me. The ThruNite TN12 2016 version lives up to what I’ve read before my purchase.It’s one of the brightest one in the company’s tactical series, using CREE XP-L V6 LED which has a lifespan of about 50,000 hours and a maximum of 1100 lumens. It uses a single 18650 battery, which can last up to 4.2 hours on high mode. ​A great thing about this flashlight it is very compact as well. It’s about 5.5 inches long, with a diameter of 1 inch. It has a belt clip for comfortable carry, five modes and strobe for versatility, and a durable aluminum body with an anti-abrasive finish. As you can tell, it has very similar features as the ThruNite TN12. But when you look closer into the details of the features, the ThruNite is still slightly higher or better. Still, the Fenix PD35 is a great option for everyday carry, camping, hiking, hunting, law enforcement, and other purposes. It’s slightly more expensive than its other counterparts, which is a deal breaker for many of us. It is true, especially if there are others with similar features at a lower price. However, it does come with2 CR123A lithium batteries and a holster. You can use one 18650 battery, but you have to get it separately. It even has an IPX5 water resistant rating, which means you can use it in heavy rain. Even though it is cheap, it has a pretty sturdy build. The body is a durable aluminum, with a non-slip grip for easy handling. It doesn’t have a shockproof rating, but I would say it can handle 1-meter drops like the others. If you want to light up the room or a tent, you can make it stand up right, so you’ll have free hands. You could also hang it up if you want. With one 18650 battery, you get a 6-hour runtime on high brightness, before it diminishes. You can also run it on 3 AAA batteries, so regarding batteries, it’s a bit more versatile. It is a great feature to have since AAA batteries are standard and have a good shelf life too. The flashlight offers three modes – high beam, low beam, and strobe. Also, it is easy to switch between modes using the tail switch. The TC12 has six different modes: Firefly, low, medium, high, turbo, and strobe. It uses a single 18650 battery; you get 70 days of run time on the lowest mode (Firefly). On the highest mode (turbo), you get 2.6 hours. On strobe, you get about 4.8 hours. The side switch and tail switch make changing modes very easy with just one hand. Now, you may ask what makes it different from the TN12 and why should you pay extra for this? Well, unlike the TN12, the TC12 has a micro USB charging port. This way, you can charge it almost anywhere – on your laptop, your car, a solar panel charger, or a power bank. It makes it all the more convenient, especially if you are travelling, hiking, or camping for days. 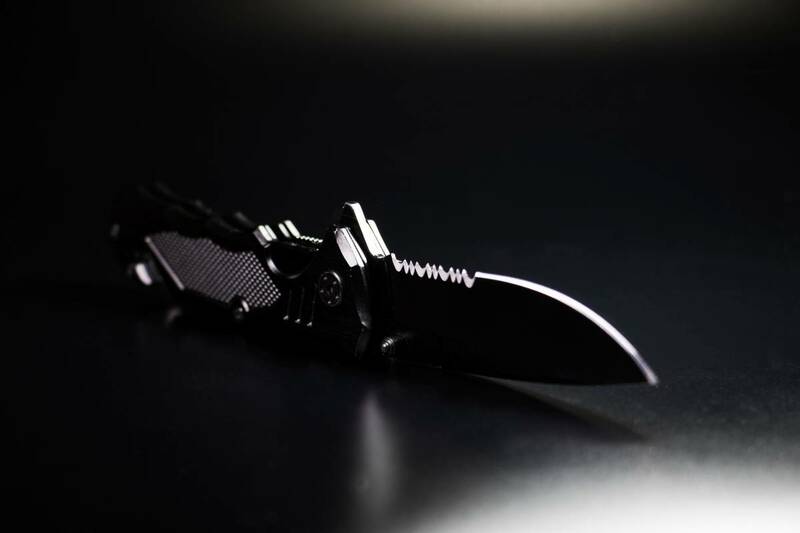 Olight is another company that focuses on light products – flashlights, headlamps, tactical lights, etc. They have lots of incredible products that also have high ratings and great reviews, so I wanted to see for myself. The Olight S2R Baton Rechargeable Flashlight is an excellent pick to match the others on the list. It adopts a CREE XM-L2LED light with 1020 lumens, with a maximum 153-meter beam distance. You can switch to 5 different modes or brightness levels and a strobe mode which you can control with the side switch. On the highest mode, it gives about 3 hours and 10 minutes run time. On the lowest mode, it gives about 60 days run time. This flashlight is the best for travel because of its charging mode. It’s a great compact size like the others, but the way it charges is very convenient wherever you are in this world. The batteries are customised 18650s that charge with the magnetic USB charge base. You can use other 18650s too, but it won’t charge with the charging base. With this, you can quickly load on your laptop, your car, or a power bank while you’re on the go. Another thing that makes it the best option for travel is that it comes with a pouch for better and more organised storage. You won’t need to take out the batteries to charge them on a separate charger. It’s also built with a durable body to withstand impact and waterproof up to 2 meters. Lastly, a great thing that makes the flashlight different from the others is the lockout modes and timer. The lockout mode prevents accidental triggering while the timer keeps you from accidentally leaving it on. It has two different timer modes – short which is 3 minutes and long which is 9 minutes. Olight is another company that focuses on light products – flashlights, headlamps, tactical lights, etc. 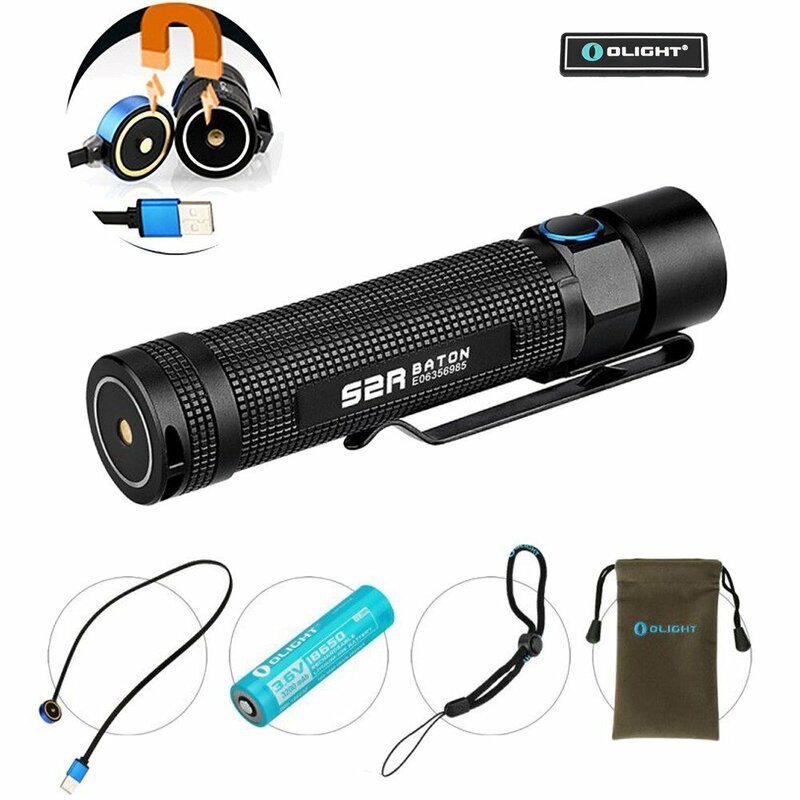 They have lots of incredible products that also have high ratings and great reviews, so I wanted to see for myself.The Olight S2R Baton Rechargeable Flashlight is an excellent pick to match the others on the list. Compact and lightweight, perfect for travelling, backpacking, hiking, etc. Other batteries will not charge with the charging base. You will need to remove them and use separate charger instead. I’m putting it on here because a lot of people don’t know what the “18650” means. 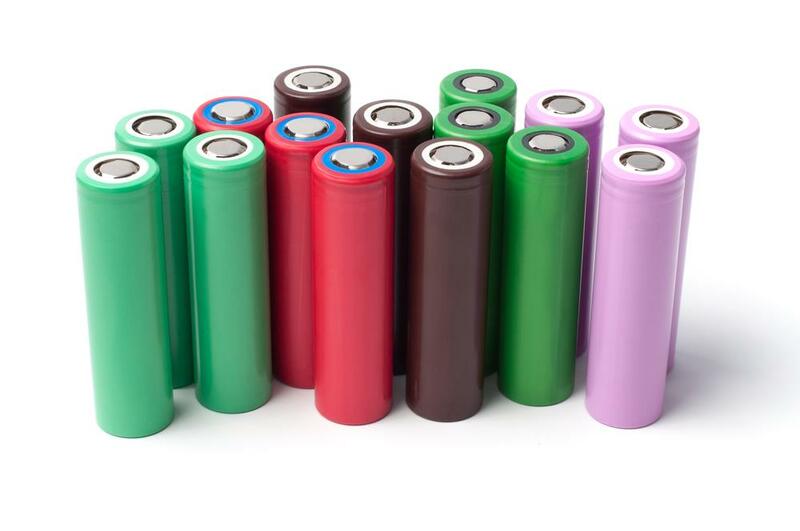 18650s are a kind of rechargeable Lithium ion batteries that are slightly bigger and thicker than an AA. For flashlights, this is better because it turns out to be more economical than a conventional one-time use battery. But, to answer the question, a 18650 flashlight is one that uses 18650 batteries. As we mentioned, the main thing that separates a 18650 flashlight from the others is that it uses rechargeable 18650 batteries. But what situations call for 18650s? 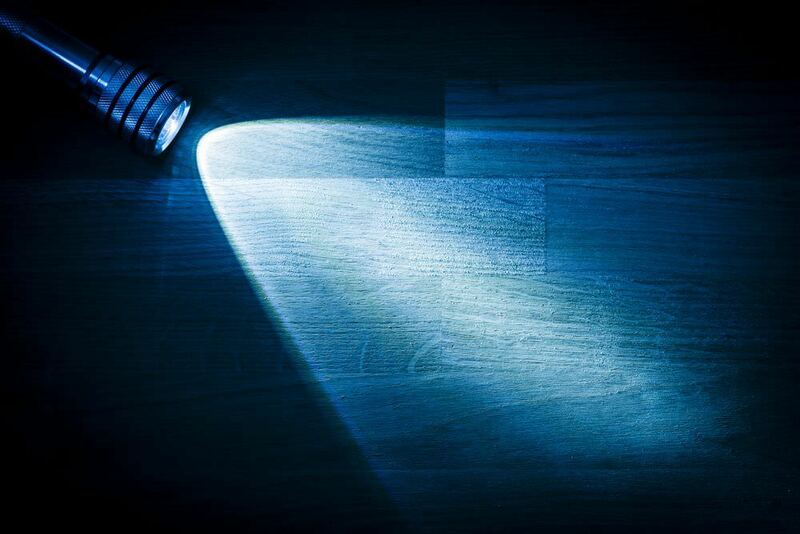 If you are planning on using the flashlight on a regular basis, then you should opt for rechargeables. It will save you a lot of money in the long run. You should also go for 18650s if you want high performance. They offer better specs than primaries (or single use batteries), making the light better and last longer. Now that we know what a 18650 flashlight is, how do we choose one? How can we narrow down the options? This next section will talk about some things you need to consider when buying a 18650 flashlight. Since LED bulbs are more efficient and more powerful, the traditional incandescent bulb has become obsolete. There are still models that use brilliant, but they just can’t beat the newer and better-LED lighting. A flood light usually has a one beam width, which is broad. This kind of light is good for lighting a larger area. You can use it to light up a camp, for walks at night, for blackouts, and other instances that need a broad light. A spotlight has a single beam that is more narrow or focused, thus going through a longer distance. This kind of light is ideal for tactical purposes. If you want a flashlight that can have both types of beams, choose one that has an adjustable feature. The light output of a flashlight refers to the lumens or the light intensity of the torch. The higher the lumens, the more bright the light is. 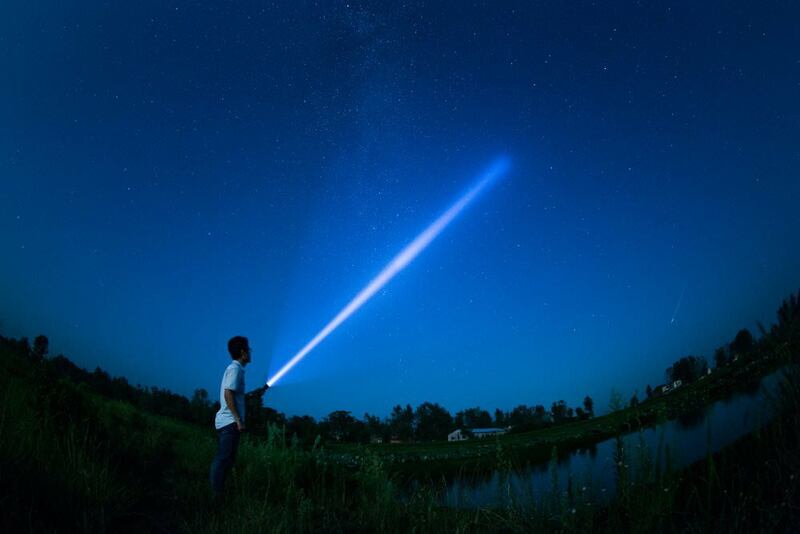 Beam distance refers to how far the light can reach or how far it will shine, and you can measure it in meters. Obviously, the larger the number, the farther the light can go. The beam can be a flood light (or fixed beam), a spot light (or focused), or adjustable between the two. The runtime refers to how long the light remains bright. It’s measured in hours and usually based on the highest brightness setting. Many flashlights will also indicate the runtime based on the different settings – high, medium, or low. Many flashlights offer different modes like low, medium, and high. 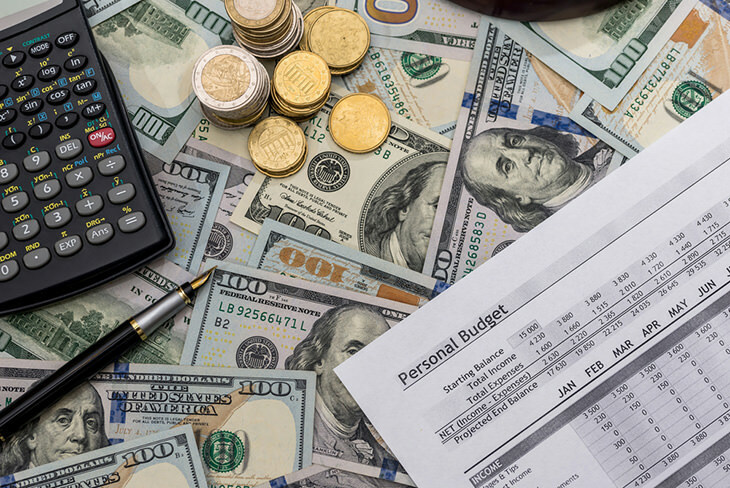 Though you will probably use only 1 or 2 ways, it’s reassuring to have the other options. Keep in mind that the brighter mode will use up more battery, thus has a shorter runtime. Other special modes include a strobe light or SOS feature. Flashlights come in different shapes and sizes, and choosing a size is a matter of personal preference. Just keep in mind that when it comes to flashlights, bigger and heavier doesn’t always mean it is brighter or stronger. Be sure to check it’s light performance because you might just be wasting space with a big flashlight when you can get the same output at a smaller size. However, larger ones are most likely to have a better run time because they might have a more battery capacity. We don’t want a flashlight that’s going to break right away, do we? Nope. So, of course, durability is a plus. The construction and material used to make the flashlight should be long lasting – not prone to rust or scratches. If possible, it should have impact resistance, especially if you intend to use it for your outdoor adventures. Water resistance is a great feature to have, especially if you are using it for outdoor activities like camping, hiking, fishing, hunting, etc. 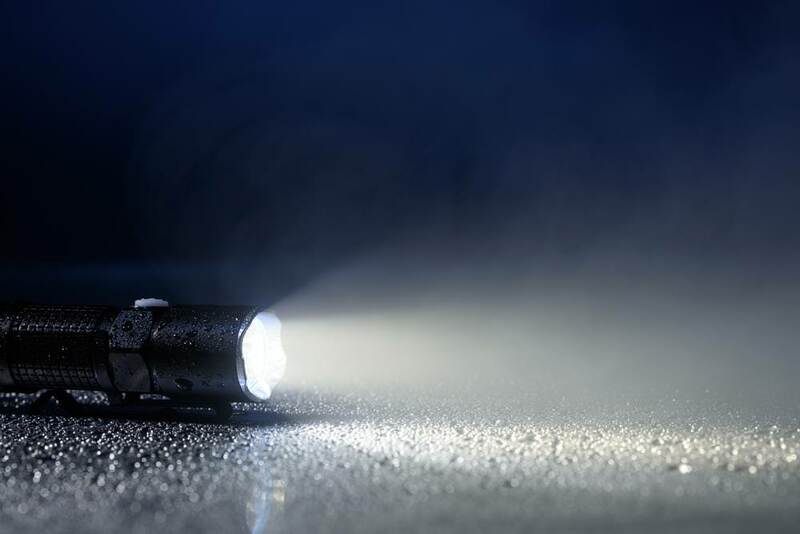 Even for everyday carry, water resistant flashlight can come in handy in rainy and emergency situations. The level of water resistance uses the IPX rating system. Add-on features like a lanyard, belt clip, carabiner, or holster can be part of a flashlight package, or you can buy it separately. The price of 18650 flashlights ranges from 10 dollars to about 100 dollars. If you’re looking for something that’s more robust, expect to pay a little more. 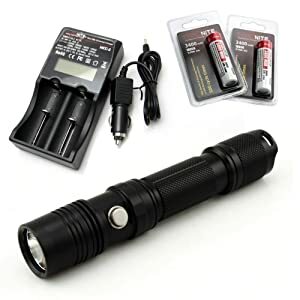 There are also package deals that include the flashlight, chargers, batteries, and accessories that are a great value. You could have the best flashlight around, but if your batteries are crap, then it’s a waste. After all, the cells give the flashlight power. So, it is important that you also invest in high-quality batteries to maximise your flashlight can give. You want batteries that have a low self-discharge rate and high charge capacity. Having a high load capacity means it will take longer to charge, but it will have more power to give. Consumers usually go for brands that are already known and have a good reputation. So, to name a few, there’s Duracell, Sony, Panasonic, and Energizer. The same brands offer chargers as well. While all of these flashlights are great, there can only be one winner, and our pick is the ThruNite TN12. 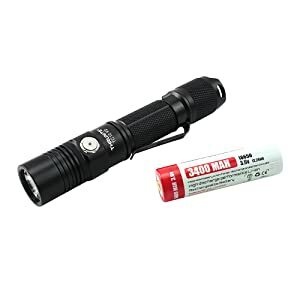 The compact design, flashlight performance, versatility, and durability are all excellent at a reasonable cost. It’s excellent for any use – camping, travelling, everyday carry, emergencies – whatever you need.